There are more to list of employment laws that are viewed as the most important. 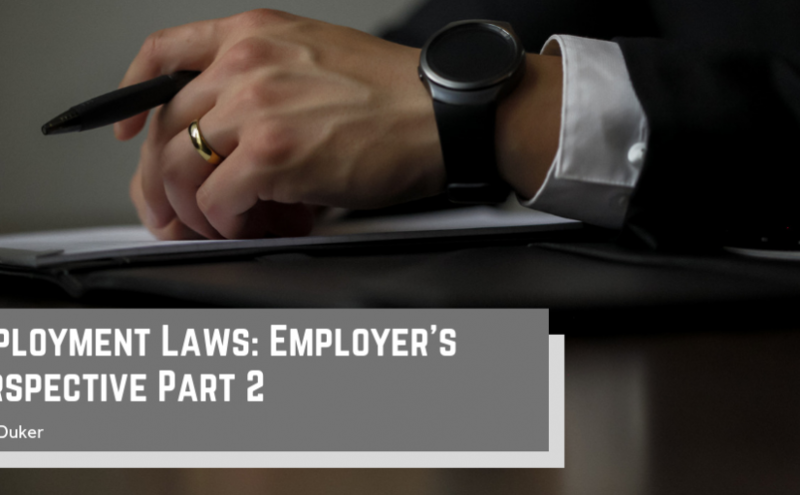 Continuing with the article Employment Laws: Employer’s Perspective: Part 1, we dive into the clauses regarding termination, dress code, remuneration, and behavior. Employment can end for many unique reasons. Employees may resign or they could be terminated. There are certain rules that must be followed when terminating an employee which include a notice and their final pay. For termination, it depends on how long an employee has been with the current company. The time spent with the company and age can help determine how much in advance the notice period must be. Businesses can decide on the system they want to use to determine remuneration, as long as they comply with the laws. Payment should not be based on their race, gender, or religious affiliations. As long as employees are doing the same work, equal pay should be distributed to avoid discrimination lawsuits. Though it is an employee’s right to have a social life outside of work, companies can enforce certain behaviors outside of the workplace. With social media continuing to be a growing aspect in society, companies want to make sure their employees are representing the company culture properly. If an employee has a negative social media presence, it could affect how the company looks to consumers. When drafting an employee contract, make sure to have a legal professional review or help draft it. There are many clauses that should be added in your contracts and should not be overlooked to protect the company and the employees. Having proper contracts drafted can save employers legal situations in the future and should be taken seriously. There are some of the strongest protections for workers when it comes to Australian employment laws. It ensures their safety from being exploited and allows them to be compensated in certain unfair situations that can arise in the workplace. When dealing with a legal matter in the workplace, it is recommended to consult a legal professional for proper and knowledgable advice. Usually, companies have their own legal team prepared for handling situations, but if an employee feels their rights have been breached, they should contact a lawyer. What are employees protected from? Unless the employee is not following the employment contract, it is unlawful to take adverse action against them. If an employee feels they are not receiving the proper compensation so they request assistance from the Fair Work Ombudsman. If the employer finds out and demotes the employee, this is viewed as unlawful since the employer took adverse action against the employee. Employers do not have the right to make employees do something they do not want to do through intimidation or threats. Many of the adverse actions fall into the coercion category. The difference is that the employee did not take action first. If an employee does not want to do something against their will (out of the scope of their job description) and the employer threatens to terminate the employee so they will do the task. That is coercive behavior and is counted as unlawful behavior. Employers are not able to give false information to employees. The employment contract should be available for employees to access and hold all the information employees need to know about their position. Whether it contains their annual leave, sick and carer’s leave and compensations, employers have to be forthcoming. If an employee asks an employer about leave and the employer does not give the correct information to try and mislead the employee. The employer could give the employer the wrong number of weeks they get annually or for sick leave and it is considered misrepresentation. As an employee, if you feel that you have lost your job for an unfair reason, feel as though you’re being coerced, or feel that your rights are being violated, seek out legal help. Determine whether or not this is a situation that can be handled with just your employer or if legal action is necessary. Even going to a lawyer for advice on the situation can help determine what actions should be taken to resolve the issue. Starting a business is not an easy task. There are many legal, financial, and personal hurdles you need to overcome before launching a successful business. With legal issues, you have to not only focus on the immediate preparations but you also have to prepare for future situations. Many businesses, when they become successful, hire employees to help with the incoming waves of work. The business needs to protect themselves with clearly written contracts that help not only the business but also the employees. Whether the business is a fresh new startup or an established company, you will want to seek legal advice to draft employment contracts containing necessary clauses. This clause will protect the employer’s interests after an employee leaves the current company. The two main types that are included are non-competition and non-clauses. It restricts employees from using confidential information and trade secrets from the previous company, working for a competitor after a certain period of time, and stealing customers or staff from their previous employer. This allows employees to be paid while taking time off of work. Based on ordinary work hours, full-time and part-time employees get four weeks of annual leave. Annual leave accumulates from the first day the employee is employed. Figuring out the correct way to calculate the annual leave of your employees can ensure future success if a situation comes up. Sick leave is when an employee takes paid time off because of an illness or injury. Carer’s leave is to take care of or support a family member or member of their household when they’re sick or has an unexpected emergency occur. It should be noted employees may have to give notice or even evidence of their sick or carer’s leave. Like annual leave, employees start accumulating sick and carer’s leave during the beginning of their employment. Employers have the right to put their employees on a probationary period to assess if the employee is suitable for the position in the company. During the probationary period, employees will receive the same benefits as an employee not on the probation period. If an employee doesn’t pass the evaluation during the probationary period, they will receive notice when their employment will end and the accumulated annual leave hours that will be paid out. There has been a stigma created for lawyers by the television industry. Many lawyers depicted on television are specialist in criminal law. There is a lack of understanding of the demand in other industries legal professionals can get involved with. Law firms are in high demand for legal roles such as the following. Commercial property transactions typically require legal assistance. Buying or leasing commercial properties can be one of the biggest decisions that owners have to make for their business. Without proper help, the decision can have a huge negative impact on the success of the business. Commercial property lawyers can assist businesses whether they are buying or selling commercial property, preparing and reviewing leases, and handling disputes as they arise. Conveyance is a written document transferring real estate property or interests from one party to the next. A notary must be present and the conveyance than must be put into the Recorder of Deeds. Lawyers can provide services for both commercial and residential transactions. During the client and lawyer’s relationship, lawyers can provide pre-contractual advice, explain the legal terms, and inform the client of their rights and responsibilities involved in the contracts. Representation in employment matters for either the employer’s or employee’s side could occur at any point of a business’s life. For the employer’s viewpoint, whether you are an established business or a start-up, you will need precautions set in place to protect your business. 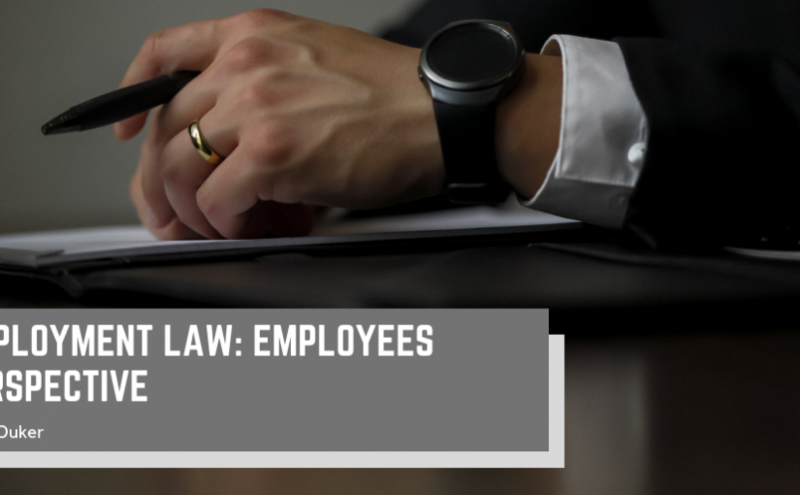 Having employment lawyers draft employment contracts ensure that necessary clauses are included such as sick leave, annual leave, probation, grounds for termination, dress standard, representation of the company, and many more. The other side is at some point while working for the company, employees may need representation. Employment lawyers can help employees protect their rights and assist in unfair situations. The demand in Australia for litigators with experience with commercial contracts is constantly increasing. Clients are looking for lawyers who can negotiate, draft and review agreements, and procurement. Skills involving insolvency and construction has been growing. Many litigation lawyers try to seek out resolutions before the disputes need to be taken to a higher court. Using techniques such as mediation, conciliation, and arbitration are the steps they take to resolve the disputes. 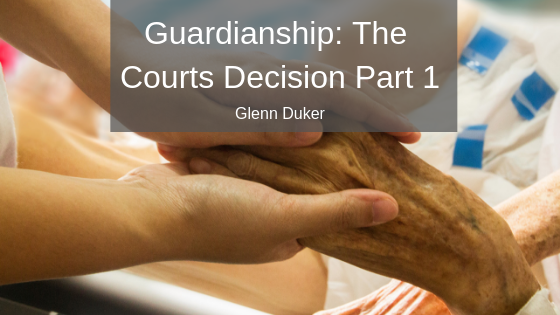 Part 1 of Guardianship: The Court’s Decision described the role and the responsibilities of a guardian. With the role being described, you may begin to wonder why a guardian would be appointed. This role is very important and should not be entered into lightly. Though it does come down to the VCAT’s decision, here is what to know about appointing guardianship to a represented person. The VCAT will typically choose a relative or close friend of a represented person to be their guardian. The main qualification the VCAT is looking for is that the guardian will act in the best interest of the represented person. The family members of the represented person can express their wishes to the VCAT of who they would like to be the best person appointed as a guardian. If there are no suitable or willing people to take on the role of a guardian, the Public Advocate will be appointed as guardian. This would be a last resort and the Public Advocate would be able to delegate the role to either an Advocate Guardian from the OPA or to a Community Guardian. A guardian role is completely voluntary. If the guardian becomes unable or unwilling to continue as a guardian, they may resign the position. The guardian must inform the VCAT, in writing, that they no longer want the responsibility of a guardian. The VCAT can then hold another hearing to determine if the represented person still needs a guardian and if they need to appoint a new one. If a person hasn’t acquired a power of attorney for themselves and ends up becoming disabled, they may need someone to safeguard their interests. The Victorian Civil and Administrative Tribunal can appoint a guardian to make the decisions on behalf of the person with disabilities. The decisions made by a guardian are meant to make a positive difference in a person’s life. 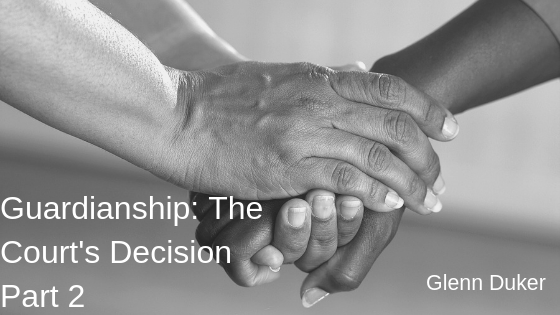 Guardianship could also be a possibility if there are different views on a decision that cannot be resolved about the person’s best interest. The Guardian is there to step in and help resolve any decisions that need to be made. Protecting the person from abuse, exploitation, or neglect. The VCAT holds guardians accountable for the decisions they make on behalf of the person with a decision-making disability. The guardian can go to the VCAT or the Office of the Public Advocate for any support or advice during their time as a guardian. The VCAT also has the ability to re-assess an order. If a guardian is not doing their role and taking on their responsibilities, the VCAT can revoke their previous order. The VCAT can appoint two or more people as joint guardian. If this is the case, both or all guardians must agree when making decisions on the represented persons’ behalf. If they can’t agree, the decision will not be considered valid. Part 2 of Guardianship: The Court’s Decision will describe the reasons why someone needs to be appointed a guardian. 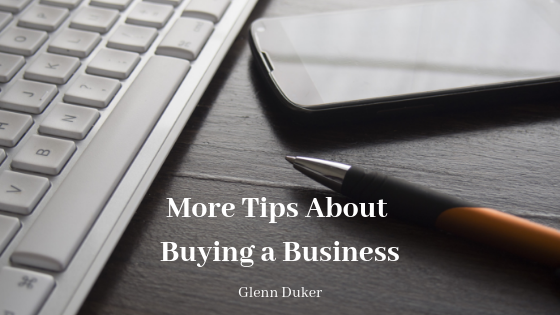 In my last article, I gave three tips about buying a business. Though research, buying assets, and hiring a professional are very important tips, there are more. Sales and payroll taxes, prepaid expenses, and letter of intent are some more aspects to focus on when buying a business. Asking about sales taxes and payroll taxes before buying a business can save you troubles in the future. Even if you buy a business’s assets, the state tax authority may have the ability to hold you liable if the previous owner owed sales, use, payroll, or any other business taxes. If the previous owner has other employees, you should ask if they were using a payroll service. This will give you the ability to confirm they are currently in employment tax payments. Once you get the current records, have the state tax authority issue a clearance letter proving the previous owner is up-to-date with the sales taxes by the closing date of the deal. This may extend the buying process but it will safeguard you down the road if anything happens with previous tax statements. Expenses that the business has paid for upfront, might not be added to the purchase price. The previous owner may want to be reimbursed for the portion of the year that you will be running the business and benefiting from those prepaid expenses. These expenses can be added on at the time of closing the agreement. Ask for a seller for a list of closing adjustments which include the previous owner’s prepaid expenses. This will give you the opportunity to budget correctly and won’t be surprised at the closing of the deal. You can be prepared with all the information and it could mean you no longer want to purchase the business. The letter of intent is an agreement between the buyer and the seller of the business. This agreement will lay out the important terms and conditions of the sale of the business. It typically includes the purchase price, how the business will be paid for, when the business deal will be paid for, the assets that are included with the business, the seller’s non compete agreement, and much more. Though the letter of intent is not legally binding, it is worth the time to discover any issues before lawyers begin drafting legal contracts that will make the sale a binding agreement. A letter of intent is meant to negotiate any terms and condition before legal documents are drafted and have to be redrafted. This can save the costs of legal fees. Though planning for the future is exciting when talking about where you are going to travel next, where you will be at in your career, or how big your family will be by that point. You have to plan ahead, should there come a time when you are unable to make decisions. There could come a time when you experience an injury or an illness that alters the ability to be able to make your own decisions. If you complete an advance care directive, you have the ability to specify what medical treatment decisions you want to be made on your behalf. You can give instructions about future medical treatment that you consent or refuse, as well as, the values and preferences for your medical treatment decision maker to consider when it is their time to make decisions for you. Instructional directives are statements of your medical treatment decisions for future procedures and care. By signing an instructional directive, you are either giving consent or refusal medical treatment. Health practitioners need your consent before they can perform any medical procedure or treatment for you. 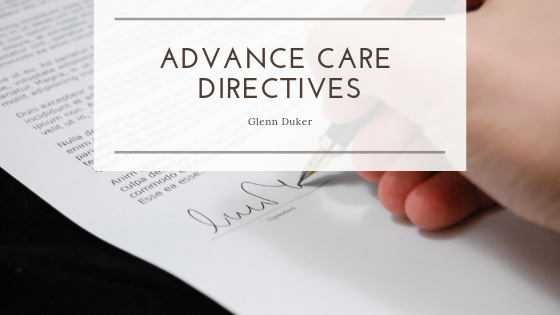 The practitioner, if you are do not have decision-making capacity, will find out whether or not you have an advance care directive and follow the relevant instructional directive you had given. You shouldn’t complete an instructional directive if you do not know the medical treatment that you want to do or not want to do in the future. The practitioner will have to follow your instructions given in the directive. A values directive will state the values and preferences of medical treatment. People have different views on whether or not a quality of life is more important than a person just being alive. People can value a caretaker while others would prefer to take care of themselves. There aren’t any right or wrong answers, what matters is that you make the choices that will best suit you later in life. It also helps to explain them to your loved ones so they have a better understanding of why you are making your decisions. When completing the advance care directives form, you will sign it in front of two witnesses, one who must be a medical practitioner. You must be evaluated as in the proper capacity and sign the form voluntarily. Your directives will end if you complete a new form, cancel the appointment of the directive, the VCAT cancels your appointment, or you pass away. If you do not have a directive, your practitioner will ask your medical treatment decision maker. The decision maker will make your decisions on your behalf. Are You an Eligible Power of Attorney? Enduring powers of attorneys have the ability to make decisions about matters in which they were appointed. Whether it is financial or personal, a power of attorney is meant to make the best choice for their principal at all times. Stepping into the role of a power of attorney begins when the principal no longer has the capacity to make their own decisions. 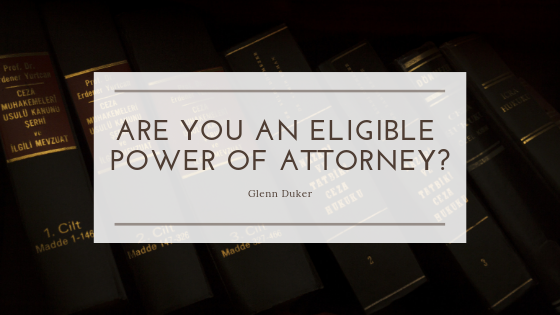 But what makes you eligible to be a power of attorney? Not be insolvent: a power of attorney cannot pay its debts when they become due. An example would be someone who is undischarged bankrupt. If a power of attorney will be taking care of financial matters, there will be more requirements in addition to the ones listed above. The person cannot be convicted or found guilty of an offense which involved dishonesty. They can still be eligible if found guilty or convicted. In those circumstances, they have disclosed the conviction to the principal and the disclosure is recorded in the enduring power of attorney. A power of attorney can be revoked by signing the appropriate revocation form. The principal must still have the capacity at the time to do so. If anyone believes that the enduring power of attorney is not acting in the best interest of the principal, they can apply to the Victorian Civil and Administrative Tribunal (VCAT). After an investigation, the VCAT may revoke the attorney’s power if it finds that they are in fact not acting in the best interest for the principal. 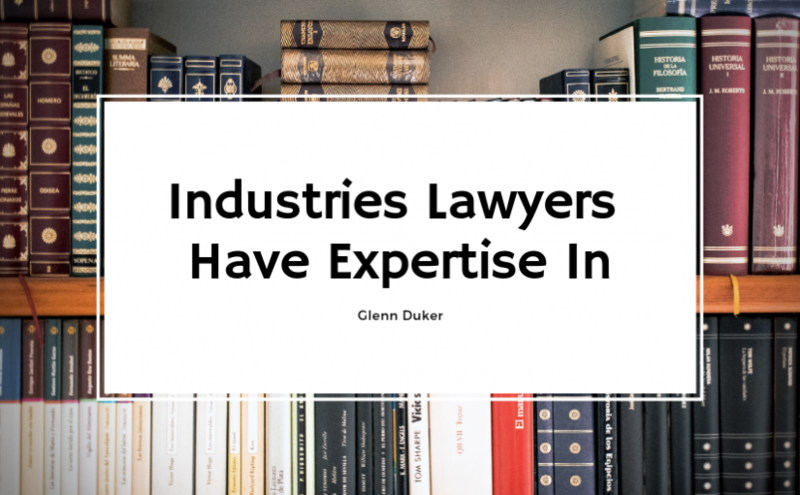 Glenn Duker has a vast experience as a litigation lawyer. He has served as a consultant to many clients in different areas of the law. His areas of expertise include business and commercial law, employment law, will and testament, probate, and trademark legal matters. Glenn writes about legal issues that arise in many clients lives. Check out GlennDukerLitigationLawyer.com.au for more information! No matter what type of business you are involved in, there is information that must be protected. You wouldn’t want competitors obtaining your client list or schematics of a new product. The business could not gain a competitive edge if all of its information was released. Information can be protected by legal remedies that prevent from misappropriation and unauthorized disclosure of the company’s information. If your business secures a trade secret protection it can benefit the company in the long run. Trade secrets can be difficult to keep confidential over a long period of time and when many people in your company know about it. There are many different methods that can be taken to protect your companies trade secrets but it also depends on the situation. And any other protections that may be deemed necessary. Employees that have access to the company’s trade secrets should be subject to policies that regard the disclosure and security of information. Employees should be clear on protecting the confidential information that is produced within the company. 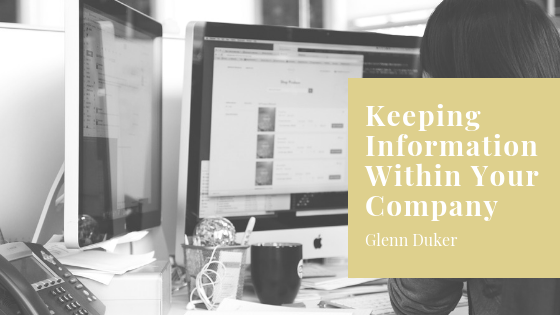 Having employees know what information is considered to be along the lines of confidential is also a very important implementation. Even if the employee does not have access to the information, they are still expected to abide by these rules. The company should implement controls over the trade secrets to decrease the risk of the information getting released to employees and others who do not have a need-to-know requirement. Keycards and keycode access can help restrict certain areas of the building that are marked as secure locations for documents or materials that are specified as trade secrets. Since technology is always improving, your company most likely has electronic files of your trade secrets. To ensure safety, make sure your company’s data is secured and that only certain individuals have access to the information or codes.